CMOs must work with CIOs and develop a “CIMO perspective” in order to collaborate and achieve success in the age of the digital customer. That’s the view of Avanade digital market unit lead, Lourens Swanepoel, who firmly believes a lack of CMO-CIO alignment leaves organisations with conflicting design siloes. “There is a need for traditional siloes in an organisation to be broken down, especially between the CMO and CIO,” he told CMO in a recent interview. “Agendas differ quite substantially: The CMOs are typically interested in how technology can help them support the growth in the customer base, or prevent a churn, and have higher customer retention ratios. To combat this, Swanepoel said CMOs and CIOs need to learn each other's language. “It is about the need for them to have a joint seat at the table and really make sure that they work closely together, and actually look through the same lens at the customer,” he said, advocating an agile approach as a way of making that happen. Swanepoel flagged two practical steps to help organisations create the CIMO perspective: Firstly, ensuring cross-functional teams; and secondly, hiring the correct skill or resources that have experience in both areas. In addition to encouraging CMOs to get cozy with CIOs, Swanepoel said organisations must also focus on three key elements in order to achieve success with customers in the digital age: Understand the human experience; gain contextual intelligence; and develop flexible, scalable platforms that enable insight and action. As more customers go digital, organisations will need to employ effective digital marketing strategies to ensure they maintain customer satisfaction and relevance in the digital age. With an eye on the human experience, Swanepoel said this involves understanding that customer experiences are part of developing a “digital brand identity”. “A customer’s interactions with a brand help define that brand. In order to manage brand quality, customer experience must lead the design process around marketing strategies, particularly when it comes to interactions and communication channels,” he said. In getting context, Swanepoel said organisations must turn data into ‘contextual intelligence’, to ensure the business is able to engage with customers in the way they want on the areas that interest them. “Aim for that contextual intelligence. 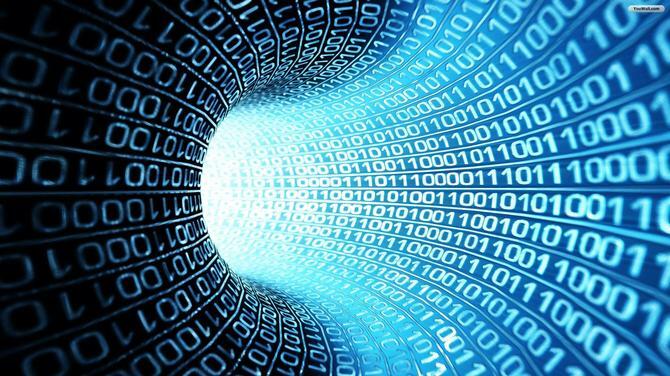 Data is the new competitive advantage and it is about how you leverage and extract value out of the data in your organisation and apply that to that experience that the customer has with your brand to make it more engaging and create moments that really delight the customer and makes them want to come back for more,” he said. Lastly, in developing scalable platforms, Swanepoel said organisations need to glean insight and take action. “Increasingly, organisations are looking to have flexible, scalable platforms that will enable them to gather that data, turn it into insight, and engage the customer whatever platform they are on,” he said. When asked how companies are faring in the age of the digital customer, Swanepoel suggested it is a mixed bag. The biggest hurdles to creating a successful customer-centric digital strategy are cost pressures, technology angst with legacy-based and siloed systems, and cultural and operational concerns. “In the area of digital customer, most organisations are starting to realise they need to shift the focus, but they’re also realising that it is not just about being digital on the outside, but being digital on the inside,” he commented. “Most organisations have started. Some are more advanced in terms of their thinking; the ones that are more advanced are the ones that are looking at it from a human experience perspective. While many brands have already put a solid base in place in the age of the digital customer, Swanepoel believed there’s more optimisation needed in terms of connecting data within an organisation. One common challenge he pointed to was connecting historical data sitting within the siloes of the CRM or in the data warehouse, with what’s actually happening whilst the customer is interacting. “Companies then need to use that to anticipate the needs in a proactive manner and drive a more customer centric experience, and really understand the context of the customer,” he said. An example of an organisation that is cracking this approach for Swanepoel is Cricket Australia. “Cricket Australia is doing phenomenally in understanding the sports fan and what the need is of a cricket supporter, and then providing digital services and structuring that journey around them,” he said. Government is also making good headway, Swanepoel said, noting the creation of the Digital Transformation Office (DTO). From government to retail to the energy sector, the key is to gain widespread support of digital strategies that address and cater to the customer experience. “There’s a local and global shift in the market towards the digital customer. Many organisations realise it is not just about dealing with two-speed IT, but that two-speed IT needs to factor in the customer as well,” he continued. “How do I use information technology to create a better experience for my customers and my clients?